In Washington State, the legislature is mucking its way through another special session, attempting to deal with a multi-billion dollar cash shortfall. On the chopping block? State parks. It was no great news, as the park system had already been put on notice that they'd be knocked off state budget support in 2013. Since that time, various funding "alternatives" have been floated. Forcing park visitors to buy an access pass was one of the "finger in the dike" ideas that leaked. First, state residents weren't too keen on buying a pass to get into a so-called publicly owned park. Then when they found the pass was good for only one vehicle, two (or more) car families got sore. The "Discover Pass" plan is far from going like a house afire. Sales of the pass are far, far less than imagined, and certainly far from taking care of the parks' needs. Now with the legislature back in Olympia, scuttlebutt has it the lawmakers may move to allow the Discover Pass to be used in more one car. It may help, but as a for-sure life support method, it's not expected to make it. So the state parks folks are talking creativity. Here's a novel approach--reduce fees when use is lower, enticing campers to come in during the off-season and the off-times of the week. If football stadiums can have sponsors, why not parks? How about, "The Budwiser Visitor Center at Twin Harbors Beach" as an example? "Alternative" camping might see a push in growth. Where parks have rental structures like yurts and cabins, non-RVing folks sometimes push up the revenue stream. Washington's park system is a gem. With a little imagination, maybe locking the gems away behind the bars of "Closed for Lack of Funding" won't be necessary. When most boondockers think boondocking, they think of the national forests and snowbirding in the warm southwestern deserts. But if you can't get away for the winter but still want to do some winter camping, Mount Rainer National Park is opening up some areas of the park for RV camping without hookups. RVs will be allowed in the Paradise lower parking lot or the upper parking lot across trom the Paradise Inn as well as at Narada Falls and Longmire. A new webcam went online last week showing the view of Longmire. Mounted on the second floor of the administration building, the camera looks toward the Longmire Museum and the road leading up from the Nisqually Entrance, with the National Park Inn hidden behind the trees in the distance. There also are six additional webcams at Paradise and one at Camp Muir. You can find the webcams here. Extreme cold weather RV camping requires some extra safety precautions and planning to stay both safe and warm. Some tips and adv ice for winter camping can be found here. Winter snow camping is not for all of us, but Mount Rainier makes it possible to try it out under favorable conditions with help--if needed--near by. If you're a snow skiing fan and an RVer, you can combine your passions at Oregon's Hoodoo Ski Area on Santiam Pass. Catering to both downhill and cross-country skiiers, the Forest Service offers year-around RV sites--just be sure you've got plenty of propane! Considered by some to have one of the best day lodges in the ski industry, Hoodoo's snowy attributes include a 1,035-foot vertical drop, five chairlifts, two tow ropes, a carousel, and an autobahn tubing hill. For the Nordic fans, you'll find a 7.5 kilometer groomed track, and an 8.3 kilometer Skyliner trail, groomed on weekends and holidays. The trail fee is $14. What about RV camping at Hoodoo? It's not too difficult to find a spot Sunday through Thursday, but reservations for the weekends are definitely recommended. If you simply want to take your RV up for the day, and not overnight it, there's free parking available. Overnighters will pay a fee, but it includes electric hookups. A standard width site (11') with electric runs $30 a night, while a wider (15') site will cost you $35 to $40 depending on the choice of site. Don't need electric? You can camp overnight for just $15. Die-hard enthusiasts can even pay for monthly, even seasonal camping privileges. For more information, check out the ski area's web site. Good news for RVers who like to camp in Tahuya State Forest: The Washington State Department of Natural Resources will reopen two campgrounds — Camp Spilman and Kammenga — on December 1. The campgrounds were closed in 2009 due to budget cuts, along with about 40 other trailheads and campgrounds across the state. 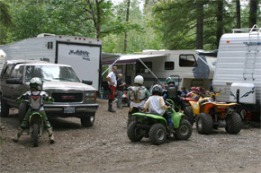 Now, with the help of grant funding from the Nonhighway and Off-road Vehicle Activities (NOVA) program and revenue from the Discover Pass, DNR is able to reopen these popular campgrounds, just west of Belfair in Mason County. In addition to reopening these two campgrounds, DNR will be doing away with the reservation system at the Tahuya River Horse Camp, beginning January 6. All three camps will be on a first-come; first-served basis. The horse camp is open for weekends only; Camp Spilman and Kammenga are open seven days a week. Keep in mind there is no garbage service at Tahuya State Forest. So pack out what you pack in. In addition, the maximum stay limit at these campgrounds is 10 days in a 30-day period. Future of Lost Lake Resort near Tacoma uncertain. Big problems. 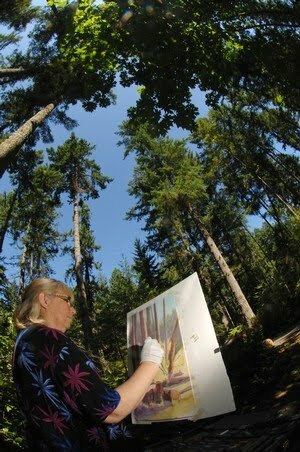 Buyers at Lost Lake Resort on the outskirts of Yelm, thought they were purchasing a little slice of heaven. The resort was pitched as a place where they could spend the summer months of their retirement years living in peaceful seclusion on 130 acres of pristine wilderness. 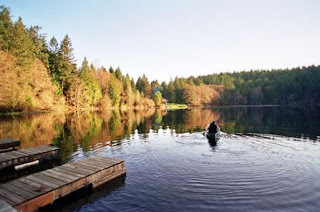 They could grab a fishing rod and walk to “an 11-acre private lake generously stocked with rainbow trout.” Or enjoy amenities such as tennis courts, an indoor-outdoor swimming pool and spa, or a clubhouse with a pool table, pingpong and shuffleboard. But several RV lot owners at Lost Lake Resort say dreams of easy living have collapsed because of the resort’s developer, Jeffrey Graham, 48, of Tacoma, and the complications of his financial meltdown. Some buyers say they still don’t have deeds for properties they paid up to $60,000 for. Others have had to sue to try to get their deeds for properties whose values have grossly depreciated because of the resort’s problems and the sour real estate market. Graham says he’s done everything in his power to get deeds to buyers and to fix the facilities at the resort. Nevertheless, there is big trouble in what was once billed as a paradise. Read the complete story in the Tacoma Tribune. 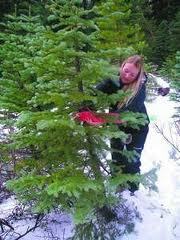 With thoughts of Santa Claus and Rudolph the red nosed reindeer arriving earlier each year, forest officials jumped on the bandwagon also by announcing that permits are now on sale for cutting of Christmas trees in the Okanogan-Wenatchee National Forest. The permits, which cost $5, are valid in most of the forest's 4 million acres, except for those areas designated as administrative sites or tree plantations. You can purchase a permit at the forest headquarters at 215 Melody Lane in Wenatchee or at selected area retail stores. The permits will also serve as parking permits at trail heads until the first snow fall, after which those lots become Sno-Parks, and tree hunters will need a state Sno-Park permit to leave their vehicles there. It's not too early to start planning for a camp hosting position next summer in a Washington State Park. Some positions are open year round as well. 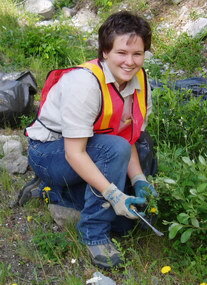 The host program offers volunteers the opportunity to stay and have fun in beautiful and diverse park settings while gaining experience in park operations and visitor services. 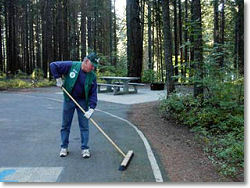 Hosts represent state parks by greeting the public and helping set the tone for a pleasant stay. They assist park staff and perform a variety of tasks depending on the park and the type of host assignment. Hosts receive free camping and hookups in exchange for performing these duties. A typical host assignment is 30 days. This may be extended up to 90 days at the park manager’s discretion. Hosts must provide their own RV and camping equipment. 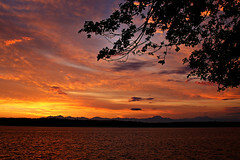 Hosts, whether couples or individuals, should enjoy working with the public, have the desire to accept new challenges and possess the willingness to learn about Washington state parks. Ebey's Landing National Historical Reserve does not look like your average National Park, since it is composed almost entirely of historic privately-owned properties. However, it is managed cooperatively with federal, state, and private entities and tells a continuing story of early exploration and settlement in the Pacific Northwest. The nation’s first historical reserve, Ebey’s Landing surrounding picturesque Coupeville, Washington on Whidbey Island protects a rural working landscape and community on Whidbey Island in Puget Sound. Much of the reserve, with its rich agricultural prairies, woodlands, shorelines and historic structures, appears to today's visitors much as it did a century ago. One hundred year-old farms are still active, forests are harvested, and century-old buildings still serve as homes or businesses. 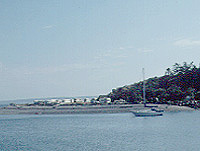 The historic waterfront town of Coupeville, located within the Reserve boundary, still serves as the county seat. You’ll find plenty of recreational opportunities including camping, hiking and biking. Spectacular views of beaches, water and mountains and an abundance of birds and wildlife add to the allure. Learn more about Ebey's Landing on the National Park Service website. Oregon's newest state park, was dedicated only weeks ago. But the party may already over--for the season at least--as the cold weather sweeping through the Blue Mountains is making Bates State Park a little less than desirable. Bates is the first state park in the system east of the Cascades in three decades. It's not huge, scaling in at only 131 acres, but it is far from the crowds, and near some nice fishing, sitting alongside the middle fork of the John Day River. Not considered a "destination" park, it's probably one that local RVers will l ove for just dropping in on the spur of the moment, or for travelers with rigs to "stumble on" when sight seeing. They'll find 34 camp sites, 28 of them suitable for fully self-contained RVs. The other six are set aside for bicyclists or hikers. There's a bit of history here, too. Bates was once a company town supporting a lumber mill. From 1917 through the end of the 1960s, the mill thrived. In the hey-days, as many as 400 workers and their families lived in company-provided homes. Time and technology overtook the mill in the 1970s and it closed in 1975. The families vanished and the buildings were either moved or torn down. Come October 31, another vanishing will take place. As the winter chill moves in, park officials will close down until next spring. September of 2013. 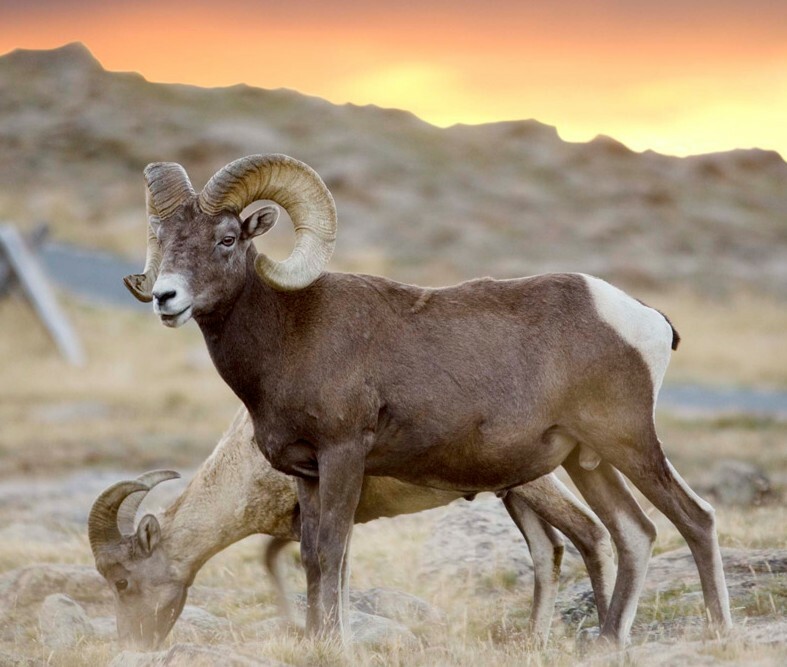 Although 8,000 acres is large amount of land, it's possible the state will wrangle a deal with the the Bureau of Land Management (BLM) to mix in another 10,000 acres of federal land from their jurisdiction. What will this new park be like? In the view of Park's officials, "development" of the land itself will be minimal. 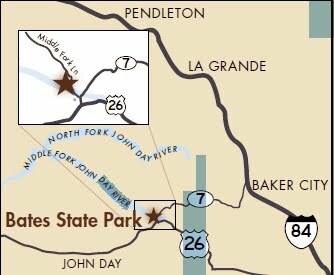 The major constructs will be the visitor center at State Highway 206 where it crosses the John Day. There, plans call for a "small campground" and a boat launch. Six miles farther downstream in the Hay Creek area, plans call for another campground, although this will be a "walk in" camp. For RVers, the question is: What kind of amenities will we find? RVers will be welcomed, but don't look to see full hookups. Whether that means electrical will be available for the high temps of summer remains to be seen, but full hookups are out. State planners are looking at recreational values that center on the river, including the possibility of concessions operated float trips, and hiking trails through the grasslands of the area. Horses and riders are another possible constituency that will look to the new park. From the looks of the park's blog, they'll be plenty of wildlife and bird watching to be done. We'll keep you posted as more information on the development of this new park becomes available. 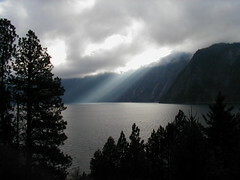 Camping Rates: While some states are predictable when it comes to rates, not so in Idaho. 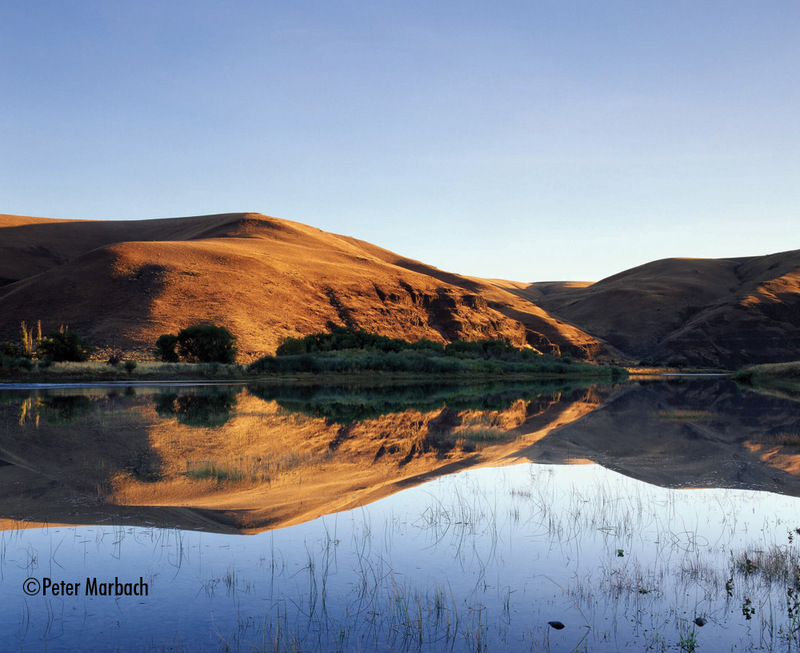 State park camping fees vary from park to park, and you could be in for a surprise. To cut the surprise element out, point your web browser to the state's official park web site here. Once there, click the "find a park" function and get thee to the park of your choice. Now click on the "stay overnight" tab to find out your fee. 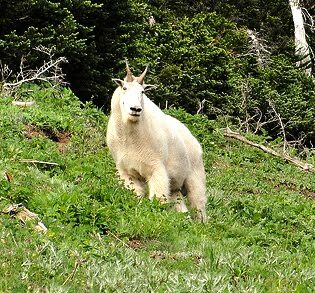 Internet: If you've to to have your Internet fix, TK Idaho State Parks now have wifi access through a commercial provider. The first 20 minutes on-line are free, afterwards a $3 daily access fee applies. For a map of state parks currently providing access (and a list of "coming soons") click to this website. 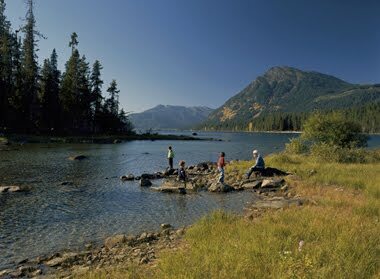 Beginning July 1, Washington will charge a $30 annual fee or $10 a visit to its state parks and other state-managed recreation lands. Gov. Chris Gregoire signed a bill May 12 creating a new Discover Pass. "I applaud the Legislature for coming together with a solution that allows us to help keep our state recreation lands open and accessible during the worst budget crisis in the state's history," she said. 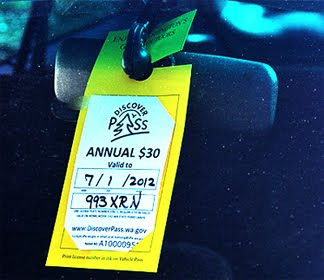 An annual vehicle pass is $30 with a day pass $10. Beginning July 1, visitors will need to display the Discover Pass on their vehicle when visiting state recreation lands managed by the Washington State Parks and Recreation Commission, the Washington State Department of Natural Resources and the Washington Department of Fish and Wildlife. The fine for not displaying the pass is $99. At certain designated locations visitors will be able to park for up to 30 minutes without the pass. Campers do not need to pay the fee, only for their campsite. Also, anyone holding a Sno-Park winter-recreation pass and hunting or fishing license for certain state-managed lands do not need a Discover Pass. Visitors can purchase passes online or from 600 retail outlets that also sell hunting and fishing licenses. It will be available mid-June. Beginning in the fall of 2011, Washington residents will be able to purchase the Discover Pass through the state Department of Licensing vehicle registration and tab renewal process.